A police officer violated our client’s constitutional rights. Then the police officer lied on the stand. An outraged jury assessed punitive damages against the officer. But then the trial judge took almost all the punitive damages away. Question: What saved the officer? That’s right – the very same constitution that the police officer violated – was the very same constitution that protected the officer. As we discussed in a recent post, we represented a man who had been falsely arrested in Manhattan. After the criminal charges were dismissed, we sued the police officers and the City of New York for false arrest, false imprisonment, malicious prosecution and for civil rights violations. On the stand, the detective who had falsely arrested our client did not want to lose the case. He wanted to win so badly that he lied to the jury. The jury rejected the detective’s testimony in its entirety and ordered him to pay a six figure punitive damages award to our innocent client. The trial judge was also outraged by the detective’s falsehoods, and refused to let him “obtain a different legal outcome” by changing his testimony. In other words, the judge refused to let the detective obtain a dismissal of the case and avoid paying money damages to our client for false arrest based on lies. But, although the trial judge did not let the detective win the case, she did reduce the punitive damages award against the detective by 90%. In doing so, the judge took away the punishment of the detective that the jury had meted out. Why? 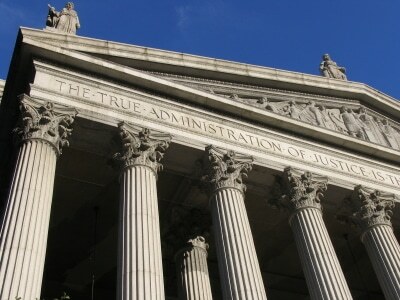 The United States Supreme Court has ruled that punitive damage awards must be reasonable. That is, they must correspond to “the degree of reprehensibility of the defendant’s conduct.” The appeals courts have stated that conduct marked by violence is the most reprehensible. Similarly, conduct that could cause serious physical or emotional injury is more reprehensible than conduct that risks only minor injuries or economic damages. Along the same lines, conduct involving deceit or malice is more reprehensible than conduct involving mere negligence. In our case, the trial judge determined that the detective’s conduct involved the threat of violence and the potential for serious injury, and therefore amounted to reprehensible conduct. However, she determined, because our client’s ultimate injuries were minor and the gun, while threatening, was never used, “the degree of reprehensibility was not all that high.” Based upon this analysis, the trial judge reduced the punishment inflicted by the jury on the detective from $110,000 down to $10,000. The final consideration is a comparison of the present award against other rulings on punitive damages in comparable cases. In Payne, the Second Circuit exhaustively surveyed its decisions regarding punitive damages awards against police officers. It concluded that the punitive damages awards ranging from $125,000 to $175,000 have been deemed “substantial,” and in cases where such substantial awards of over $100,000 were upheld, the police conduct at issue was far more egregious than here. Id. at 105. For example, in O’Neill v. Krzeminski, two police officers attacked a handcuffed plaintiff (one with a blackjack) and then dragged him across the floor of the police Station by his throat. 839 F.2d 9, 10 (2d Cir. 1988). The Second Circuit affirmed punitive damages of $125,000 and $60,000. Id. at 13-14. In Disorbo v. Hoy, a police officer arrested one plaintiff for spurning his advances at the bar, and then, at the police station, he slammed the plaintiff into the door; another police officer pushed another plaintiff against a wall, choked her, threw her to the ground and struck her repeatedly. 343 F.3d 172, 176-77 (2d Cir. 2003). The Second Circuit limited punitive damages to $75,000, which it found “comparable to the upper limits of the punitive damages awarded in similar police brutality cases.” 343 F.3d at 189. In Payne, a police officer called to assist with a combative patient at a hospital exacerbated the situation by verbally provoking the patient into a fight, and then continuing the fight, thereby worsening the patient’s already bad back and PTSD. Payne, 711 F.3d at 88. The Second Circuit concluded that “highest level of punitive damages that can properly be sustained is $100,000.” Id. at 106. Based on a comparison to previous awards, the punitive damages award here is excessive. The conduct here was far less reprehensible than each of the above cases and other cases surveyed in Payne, and therefore the amount of punitive damages must be reduced. 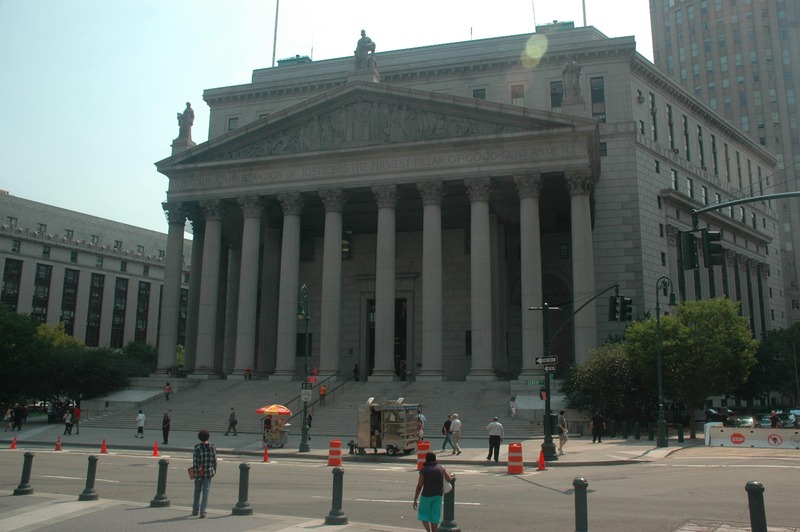 A recent case in the Eastern District of New York, Milfort v. Prevete, is instructive on how much the remittitur should be. Based on an analysis of the factors articulated in Payne, Milfort reduced the punitive damages award of $40,000 to $5,000 because the jury awarded only nominal damages after finding the defendant liable for a single claim of false arrest, and “Plaintiff, though unjustly targeted and falsely arrested, was not subject to excessive force . . ., was not damaged in a way that necessitated compensatory damages, and was held in custody for the relatively short time of one and a half hours.” 3 F. Supp. 3d 14, 26 (E.D.N.Y. 2014). Similar considerations support a remittitur in this case. However, because here the jury awarded compensatory damages (however small) and Defendant Tisdale was found liable for two separate constitutional violations (as opposed to one in Milfort), a larger award than $5,000 is in order. Having considered this “complex totality of factors,” Payne, 711 F.3d at 106, the Court concludes that the highest level of punitive damages that may be sustained here is $10,000. If plaintiff does not consent to accept a punitive damage award of $10,000, a new trial on this issue will be ordered. Thus, even though the detective violated our client’s civil rights by falsely arresting him and improperly searching his car, the jury’s punishment was taken away by the trial judge. Even though the very same detective acted outrageously a second time when he took the witness stand and told complete falsehoods, and the outraged jury awarded a punishing punitive award, the trial court protected the detective. She did that because the Fourteenth Amendment to the United States Constitution protects individuals from substantive due process violations. The trial judge determined that the jury’s punitive verdict, unless reduced by 90%, violated the detective’s substantive due process rights. Amazingly, the document that the police officer violated (i.e., the Constitution of the United States) was also the document that saved him! As demonstrated above, the lawyers at Martin + Colin, P.C. are experienced civil rights attorneys. LET US APPLY OUR EXPERTISE TO YOUR CASE. CALL US NOW AT (914) 771 7711.